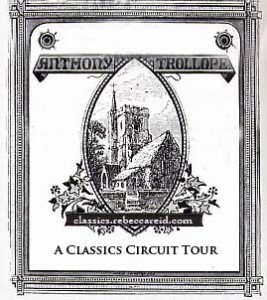 Welcome to The Classics Circuit Tour for the prolific Anthony Trollope. In choosing my title to read for this tour I really tried to go for a book that is not as well known as some of Trollope’s most famous works. I also wanted to pay homage to the season since Trollope wrote many Christmas themed stories or “Christmas Numbers” as they were then known. Christmas at Thompson Hall: A Tale was one of such. Published in 1876 in The Graphic Christmas Number, this short tale is a humorous holiday story that truly does stand the test of time. However since it is a very short story (readable in about an hour or so). I don’t want to give away too much. Instead I would like to entice you to enjoy this holiday tale for yourself. Mrs. Brown wants to spend the Christmas holidays with her family at her beloved Thompson Hall in England. Mr. Brown however does not. As they travel to their Christmas destination Mr. Brown becomes sick or so he claims. Staying in a hotel in Paris, Mrs. Brown is left to do all she can to relieve her husband’s sickness so that they can continue their travel. This begins a story of mistaken identity, marital relationships and humorous happenings that make the reader appreciate the time in which Trollope wrote the story while also being able to relate to the human psychology within. The Browns and their waging battle over their holiday destination is one that still happens to this day in multiple marriages and it rings true in such a genuine way. It translates even over a hundred years later, truly standing the test of time.While the humor is very true to the time period for which it was written, readers will enjoy it’s family friendly antics that can still produce a chuckle. Sadly copies of this work are getting harder and harder to find. I was lucky enough to get a beautifully old copy from the local library filled with illustrations and authentic detail. However I could find no sign of this edition in my searches for this review. However readers wanting a short, lively Christmas themed story from the wonderful Anthony Trollope can read the story online complete with illustrations. 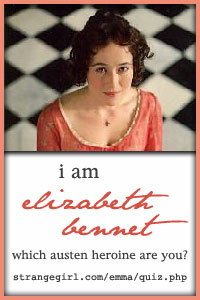 Not the same as the real thing…but a wonderful tale not to be missed for any lover of Trollope. Read Christmas at Thompson Hall: A Tale by Anthony Trollope online courtesy of Google Books. Make sure to follow the Anthony Trollope Tour on The Classics Circuit which runs from Monday, December 6 to Friday, December 17. Thank you for this. I have been looking for some of Trollope’s Christmas themed work but have been totally unable to find it so thanks for pointing me in the right direction! It can be hard to find…I was pleasantly surprised to find this story on Google Books. My library also had one very old copy still in circulation. These “Christmas Numbers” from that time are really quite charming…it would be nice if they were more widely available. Good Luck on your search! Oh this sounds like a fun homage to the holiday season! I’ll have to go look for it online, just what I’d need for next week, since I already finished A CHRISTMAS CAROL.